Five years after its launch, the Bestobell cryogenic gate valve is now widely accepted as the first choice of the cryogenic trailer manufacturing industry. Its unique design - offering full bore flow rates with globe valve sealing performance - has led to a quiet revolution in the industry leading to lower fill times and significant financial savings. Traditionally globe valves have been favoured by cryogenic storage tank builders and industrial gas companies in applications where tight shut off is critical. Conversely, the gate valve - despite its greater flow capabilities - has only been popular in applications where maximum flow rates are important due to the unreliable sealing capabilities of available products, as well as installation and maintenance issues. However, the unique lapped finish on the Bestobell Gate Valve�s seat means excellent sealing performance comparable to that of a globe valve. 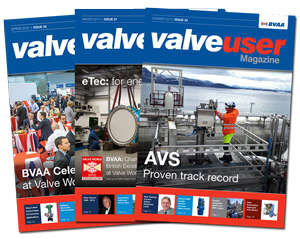 Kevin Fretwell, Bestobell Valves� Technical Director, said: "The design has been refined over the last few years so that, in recent tests, the Bestobell Gate Valve actually has better sealing capabilities than the Globe Valve. And, if we take the DN50 Bestobell Gate Valve as an example, it offers around five times the flow characteristics ofthe equivalent DN50 Globe Valve. The implications for cost saving as a result of shorter fill times are clear." Globe valve sealing performance from a Gate Valve Two factors contribute to the unprecedented sealing performance of the Bestobell gate valve; 1. The Bestobell Lapped Seat All Bestobell gate valves feature a lapped seat. On the DN40, this is threaded and seal-welded into the body, whereas on the DN50-DN80 this seat is mounted in a carrier attached to the headworks. No other cryogenic gate valve features such a lapped seat. 2. The Bestobell �flexi wedge� Design (DN40-DN80) The Bestobell Gate Valve wedge seat is unlike other gate valves in that it is designed to be removed from the valve wedge itself. The PTFE seat forms part of the bronze insert that sits inside the wedge. This bronze insert can be replaced easily and without the need to replace the actual stainless steel wedge. After 2000 cycle type tests, DN40 Bestobell Gate Valves had leakage rates on Helium of 50 cm3/min.Comparable figure for the DN40 soft seated Globe Valve 130 cm3/min. The standard EN1626 for Soft- Seated Valve DN40 allows 2400 cm3/min Conclusion: It is the combination of these two features that mean, on all sizes, the Bestobell Gate Valve has comparable, if not better, sealing characteristics to that of the Globe Valve. Full bore flow characteristics Unlike other available gate valves, the Bestobell Gate Valve offers full bore flow characteristics on all sizes, and therefore offers CV values that are considerably higher than for other valves. Bestobell Gate Valve: 50mm sized valve CV value 204 GPM Globe Valve: 50mm sized valve CV value 43 GPM Ball Valve: 50mm sized valve CV 138 GPM In comparison: Globe Valve: 100mm sized valve CV value 174 GPM Conclusion: Looking specifically at the DN50 Bestobell Gate Valve, as above, it offers around five times the flow characteristics of traditional Globe Valve for fill duties, which will contribute to lower fill times. More efficient installation and maintenance Bestobell has also resolved important maintenance issues associated with conventional gate valves. Included in the design of the Gate Valve DN50-DN80 is a body seat that is removed from the valve body with the headworks. Kevin Fretwell explained: "With conventional gate valves, if the critical valve seat-face is damaged, the only solution is to cut the valve body from the pipework. But with the Bestobell Gate Valve you simply remove the headworks, replace the seat and re-install - simple, fast and cost effective." Who�s getting high on hydrogen? The Fastest Ever Valve Manufacture?